Florian Schwab’s practice focuses on trademark law, design law and unfair competition. He has been practising in the IP field since 1998 and joined BOEHMERT & BOEHMERT in 2001, becoming a partner in 2006. Mr Schwab advises clients on trademarks and designs concerning filing strategies, including availability searches and licensing issues. He also oversees trademark application procedures and manages numerous extensive trademark portfolios. On the contentious side, he is involved in combating product piracy, specifically in the context of customs seizure and bringing infringement proceedings to court. Mr Schwab represents trademark owners from a wide range of industries before the German Patent and Trademark Office, German courts, the EU Intellectual Property Office and the European courts. Mr Schwab studied law at the Universities of Vienna, Passau, Tours (licence en droit) and Munich. He was awarded an LLM in European law by the University of Durham, United Kingdom and wrote his doctoral thesis on EU law analysing European Court of Justice case law. 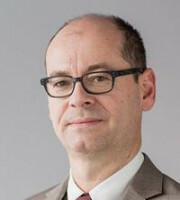 Mr Schwab is German delegate of the European Communities Trademark Association’s (ECTA) Anti-counterfeiting Committee. He has been a regular contributor to World Trademark Review and World Trademark Review Daily for many years, as well as to German law journals. Best Lawyers International listed Mr Schwab as a recommended lawyer in the areas of IP, trademark and unfair competition law and he was named by Who’sWho Legal as one of Germany’s leading trademark attorneys. Mr Schwab is co-author of Commentary on German Act against Unfair Competition (edited by Götting and Nordemann, Nomos-Verlag) and of the chapter on anti-counterfeiting measures in the Manual on Business Criminal Law (edited by Achenbach and Ransiek, CF MüllerVerlag).